Seeding, watering, fertilising… after all that hard work, your grass is finally green and beautiful. Now it is time to keep it short, neat and even. And for that, you will need a good lawn mower. 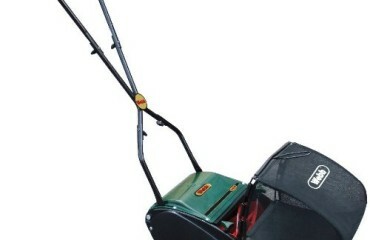 Having a great looking lawn is something that most gardeners aspire to, and there are many lawnmowers to choose from. From the budget models where you have to push to make the blades spin, to the high-quality, self-propelled models where all you have to do is guide them through your garden. 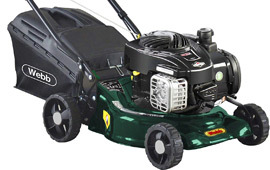 …with the Webb R16SP 42cm Self Propelled Rotary Lawnmower being our item of choice. 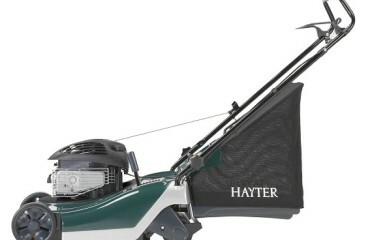 With this mower, you can collect the trimmings in its 40-litre bag. The bag has a convenient carry handle that makes it easy to empty your cuttings. If you would like to compost the clippings, it is recommended to let them dry for a couple of days to keep them from becoming soggy and emitting a strong ammonia-like odour. However, this mower also features a mulch plug. When you use the mulch plug, the clippings are not collected but expelled onto the ground as you mow. As they decompose, they release nutrients back into the soil, so every time you cut the grass you are also fertilising it. They also help slow down water loss through evaporation. Red Fescue, Annual Meadow Grass, Common Bent, and Dwarf Ryegrass are the most common species of grass in the UK, and you should know which one is in your garden so you can take proper care of it since each one likes to be mowed to a particular height. Perhaps the most common mistake is mowing lawns too short. Lawns mowed at higher heights tend to have fewer weed problems, deeper roots, and look much better. 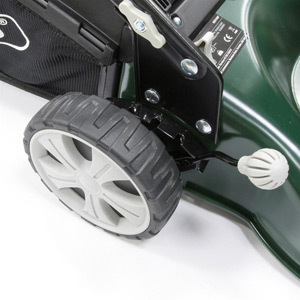 Having a mechanism that quickly lets you adjust the cutting height of the lawnmower’s blades is not only convenient but can also help the grass grow healthier. Fortunately, adjusting the height of this mower to your lawn conditions is as easy as pushing a lever. There are six heights to choose, from 25mm up to 70 mm. With 4.5 ft-lbs of gross torque, the 450e Series motor is powerful enough to get the job done. It is lightweight, dependable, and simple to operate. Its oiled foam air cleaner keeps any debris from entering the engine, and the splash lubrication ensures proper lubrication throughout the crankcase. 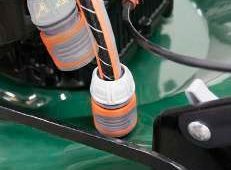 A Prime ‘N Pull Easy starting system means that starting the motor will need one pull to start. Unlike with 2-stroke models, this 4-stroke engine delivers low noise and produces fewer emissions. 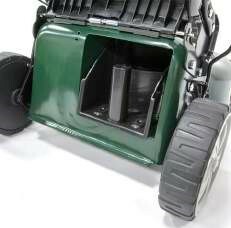 One feature you will love is that this mower has a wash port. This makes cleaning up after each use much easier. All you need to do is attach your garden hose, turn on the tap, and start the motor. The water will spray and soak all the caked-on yard debris. Let it run for a few minutes and your deck and blades will be clean as new. If you have a large lawn, slopes, or just want easier mowing, you will appreciate the self-propelled mechanism of this lawnmower. No more pushing is needed. 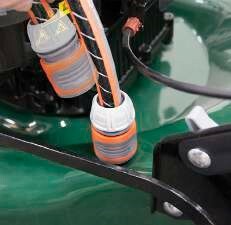 The mower automatically starts to advance as soon as you press the handle. 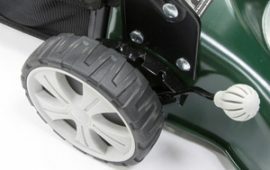 A set of ball bearing wheels helps to ensure that the lawnmower moves smoothly over bumpy terrain. 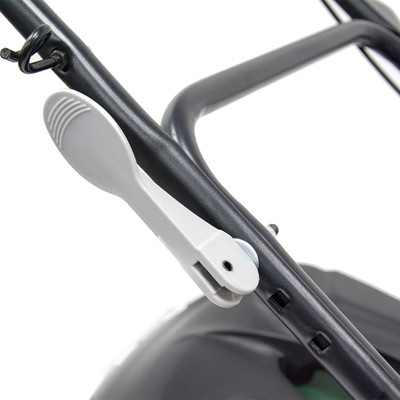 The mower’s handles are covered with a soft grip material, which makes them very comfortable. This also helps to minimise the vibrations you feel while you are mowing the lawn. 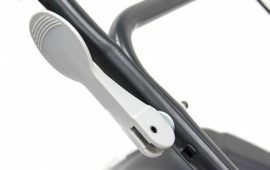 The handle is equipped with a quick-release mechanism to fold them. There are no bolts to tighten or loosen. 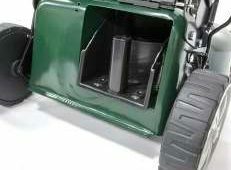 This reduces the size of the mower for easier storage or transport. 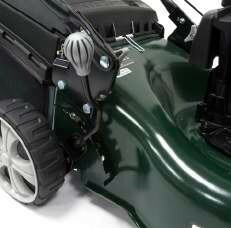 Each Webb machine has been built to the highest standard and is designed to tackle some of the most demanding gardening chores. 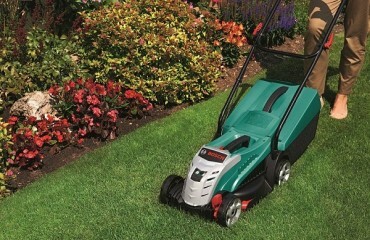 This Webb R16SP lawnmower is backed by a 2-year deck warranty and a 2-year engine warranty. 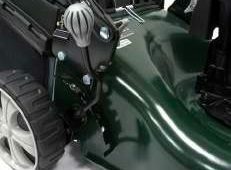 Combining a self-propelled lawnmower with a powerful Briggs & Stratton motor makes cutting grass an enjoyable experience.